Growing up, my grandparents made a summer habit of picking pounds (and pounds!) of strawberries from their local strawberry patch - resulting in pies, sauces, bars, and, of course, strawberry shortcake. I’ve always had it in my mind that I’d eventually continue that tradition. Thankfully, my sister-in-law liked the idea too! A few weeks ago, my husband and I spent a Saturday morning at the Strawberry Ranch with my sister-in-law, niece, and nephews. What a beautiful and refreshing morning! For some reason, it was incredibly good for the soul. Maybe it was the act of harvesting our own food, being out in the country air, or knowing we were “shopping local” in the most basic sense. Of course, it didn’t hurt that these super-fresh strawberries cost less than berries at the grocery store! We marvelled that for such a reasonable rate, we were able to go home with pounds of fresh fruit AND get such a wonderful experience. 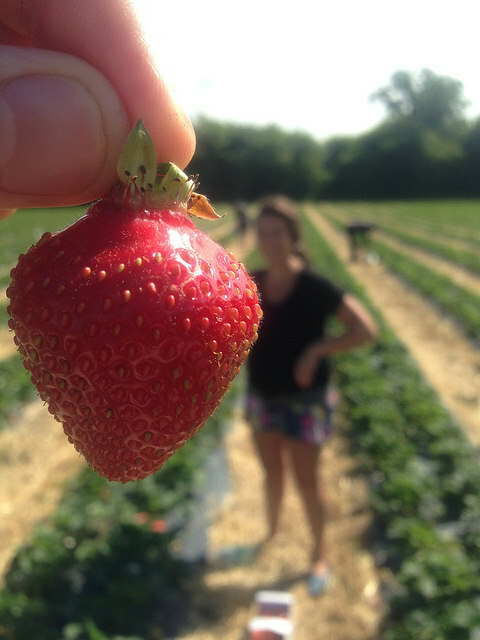 The Strawberry Ranch is a family owned and operated farm located four miles southwest of Saskatoon. There are ready-picked berries available, but I would highly recommend the U-Pick option. The experience just simply can't be missed! Its a good idea to call ahead before going, as U-Pick times may vary depending on the crop ripening. 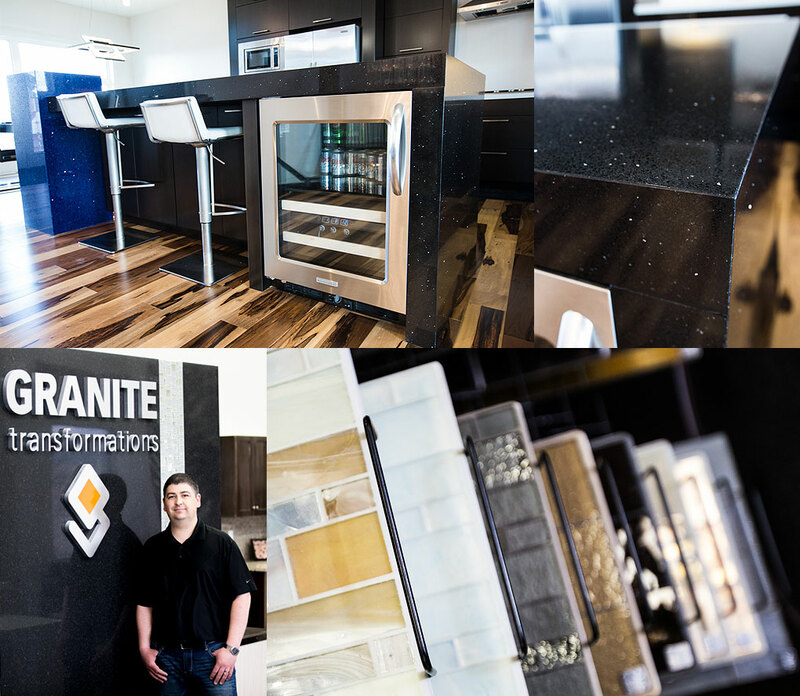 Locally owned in Saskatoon, Granite Transformations is exceeding customer expectations with its innovative products and a streamlined process that has revolutionized the granite counter top industry. With expertise in cabinet refacing as well, Granite Transformations is a one stop shop for kitchen and bath upgrades and remodels. The owners of Granite Transformations, Colin, Rob, and Derek shared with us some little known facts about their extraordinary products, their unique way of doing things, and their heart for our community. We wanted to provide Saskatoon residents with a unique opportunity. We felt that Granite Transformations meets a need that was not yet being addressed here. Saskatoon has a booming real estate market, both in new builds and in the buying and selling of existing homes. This is also the number one under-served market, especially in the renovation field. We believed there were home renovations that weren’t done, simply because people didn’t know they had the option to do what we do. We knew there would be home owners that would love our product, people who wouldn't have been able to get the solution they were looking for any other way. Our granite is compressed and bonded together to make a slab, using a polymer resin. It is the same type of resin used in aircraft manufacturing. This keeps the product thin and lightweight, yet very very strong. It is also what seals the stone. A typical slab is porous, traps bacteria, and emits radon gas. With our stone, nothing goes in, and nothing comes out. We are the only granite surface in the world that never requires maintenance or sealing. Does your product look similar to a traditional granite counter top? Our product comes in 10 foot slabs, much like traditional granite, but the slabs are not thick, bulky, porous, or heavy. They are still slabs of stone, though. Because the product is thin, it is installed right over top of an existing counter top. Installed, it looks very similar to a typical stone counter top. Are your products as durable as typical granite? While our slabs are thinner, since they are no longer porous, when tested they are actually 2.5 times stronger versus impact than thicker porous slabs. Our quartz and glass products are also incredibly durable. Your products are tested radon-safe. What is radon, and are there other comparable products out there that people have in their homes that are unsafe? Radon is a naturally occurring gas that can be harmful to one’s health. Traditional granite slabs emit varying amounts of radon, which is why you will never see slab granite in a hospital, school, or the prep area of any restaurant. Our products are approved for use in all three. We also asked the team at Granite Transformations about their eco-friendly products, the non-profit organization they are committed to, and their favourite things about Saskatoon. View the full article here. Are you in the market for a new home in Saskatoon? If you're not a first time home buyer, you know as well as anyone that you've gotta get out of the old before you can move on with the new! Tanya LaRose, local Saskatoon REALTOR with Re/max Central, has 5 easy tips for increasing the saleability of any home. Whether your home has been on the real estate market for a while, or you are just taking the initial steps to put it up for sale, following these pointers will help to ensure that you get the most out of your home sale in the shortest time possible. The cleanliness of a home fore sale is often overlooked and underestimated. Be sure to complete both a surface clean and deep clean. Deodorize the home if any strong odours are present. Purge any old items to reduce a cluttered appearance and open up the space to appear larger. Also, put family momentums in storage, as potential buyers need to be able to envision themselves living there. This requires a neutral environment. Giving your home a facelift is improving its showing quality without the huge budget of major renovations. 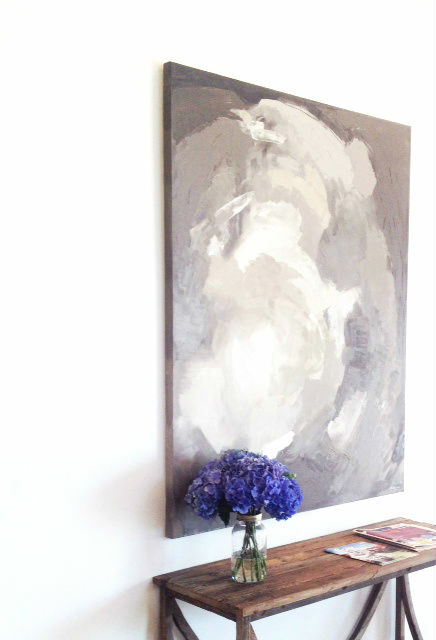 Add fresh coats of paint and when in doubt, choose white - however, grey is the chic trend right now. Update fixtures like discoloured light switch covers, rusted faucets etc. Ensure your window covers are consistent. Drapes are the most inexpensive option and add a feeling of warmth to the home. Make sure everything works correctly - lights turn on, doors close, and toilets flush. Curb appeal is so very important, as it is first impression that can either draw buyers in or turn them away. Remove weeds! Plant a few flowers. Potted flowers work just fine. Make sure they are colourful, and position them at the front step. Statistics show that getting your home professionally staged often reduces the amount of time it sits on the market, and increases the amount of the offer. You can opt for full or partial staging, or even a consultation to have your current furniture re-arranged to look its best. If your home has some serious issues, your REALTOR will be able to advise you if you will be able to make a return on any major renovations. The best time to hire a contractor is in the fall, because they will be less busy and more likely to negotiate a better price. Ask if they offer any sort of warranty on their services, as this could be used as an additional selling feature. Ask to view a portfolio, references, business license, and/or website before making a decision on a contractor. Be sure your are hiring a legitimate tradesman, because if the price is too good to be true, it probably is. For more detailed information on the best ways for you to prepare your home specifically for today's market, contact licensed REALTOR with Re/Max Central, Tanya LaRose at 306-380-REAL(7325). Check out Tanya's Spotlight Profile for more about her, or to connect with her on social media! Saskatoon is truly a city that thoroughly enjoys its summer! As residents of the downtown area, we’ve had the pleasure of living right in the middle of some of Saskatoon’s summer events. What a treat to cook dinner with the background music of Jazz Fest’s Ms. Lauryn Hill coming in through our windows! June and July were fantastic but I’m realizing that Saskatoon saves some of the best for last. This has been my first August in Saskatoon, and boy am I impressed! 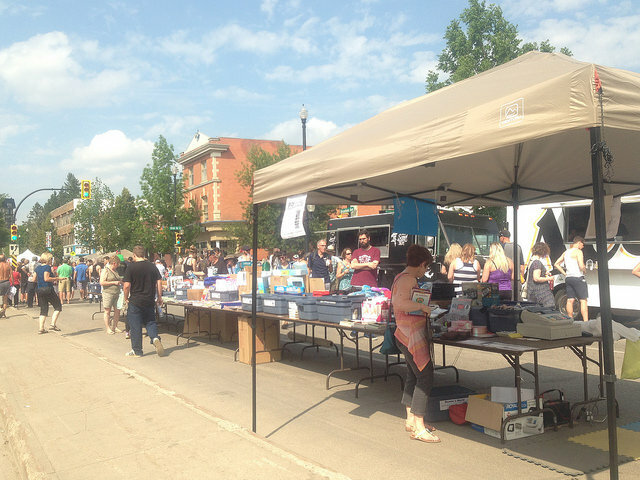 The first nine days of the month, the Fringe Festival was in full swing on Broadway Avenue! My husband and I visited on a few occasions – taking in the crafts, the artwork, and of course, the street theatre (zombie newlyweds!). 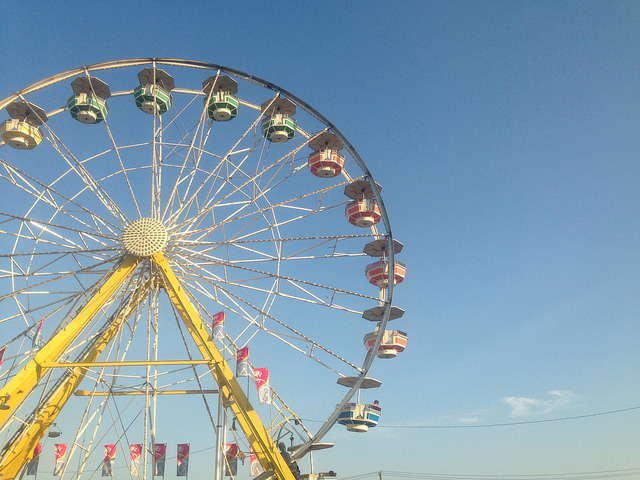 We also visited the Saskatoon ‘EX’, enjoying mini donuts, a free concert by Walk Off the Earth, and Safeway Kidsville. We don’t have kids of our own, but it sure was fun watching little ones going on rides or petting ponies in the petting zoo! My personal favourite was the President’s Choice SuperDogs. If you haven’t seen this dog show, you must! 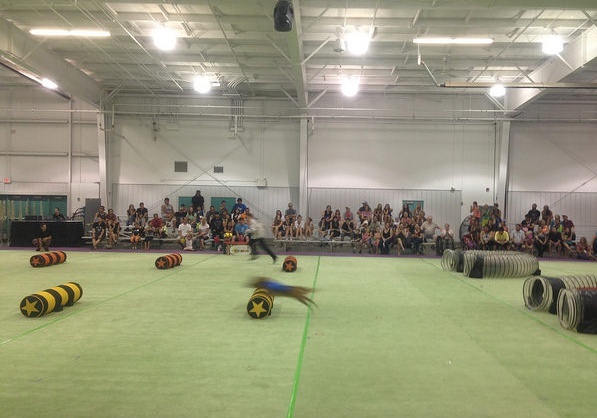 I don’t know what it is about dogs doing tricks or racing through obstacle courses but the crowd literally went wild – including me! I can’t remember the last time I laughed that hard. I probably would have been embarrassed, but, like I said, the whole crowd was wild! Sadly, we weren’t able to make it to Folkfest, but I hear it’s another great August event, and I’m already looking forward to the PotashCorp Fireworks Festival on August 29-30. Of course, it’s always sad when summer ends, but I hear that Saskatoon is beautiful in the fall! Growing up, badminton was an annual unit in junior high and high school gym class. 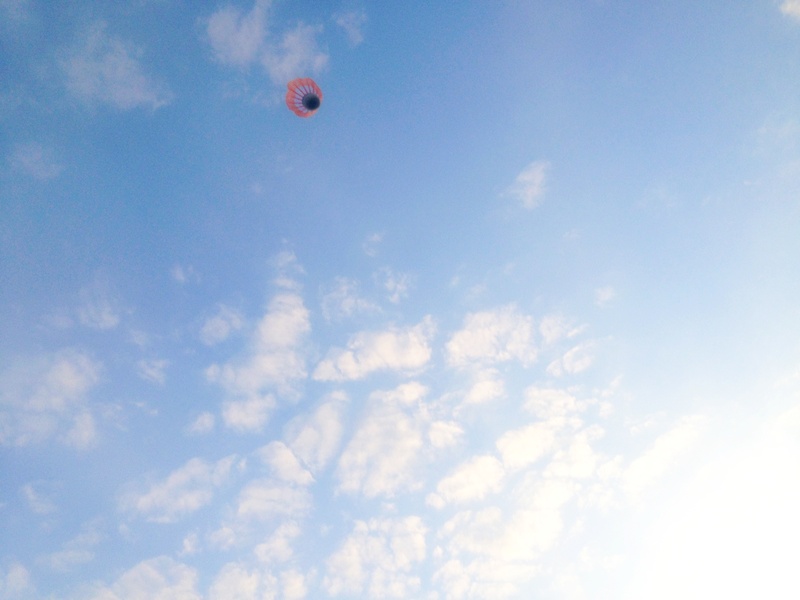 Once a year, we’d arrive at gym class to find the badminton nets set up. We’d happily select our racquets and birdies, and prepare for two weeks of badminton tournaments. I can’t deny it was one of my favourite units in gym class (besides square dancing). There’s just something about badminton… it’s like tennis but less running, similar to volleyball but less painful on the arms. So when my brother-in-law mentioned that he was coaching a badminton team this winter, the wonderful memories of spiking those birdies came rushing back. And so badminton was added to my husband and I's summer to-do list! When the weather warmed up, we tracked down a set of racquets and birdies (although it was difficult – apparently we weren’t the only ones wanting to play badminton!) for under $10 at Dollarama! On a gloriously hot day, we hit those birdies around at Rotary Park. Oh man! It was as great as I imagined! I’m proud to say that my husband and I volleyed that birdie back and forth 200 times without it touching the ground. If you are looking for a fun way to soak up a summer evening, I highly recommend grabbing a buddy and heading down to Rotary Park to bat a birdie around! Not only am I newly married, I’m new to this amazing city of Saskatoon. I met my Saskatoon-born husband in California a few years ago. He proposed to me in the middle of a NorCal vineyard and we were married five months later. Being a transplant from California, I (literally) cried tears of joy when spring arrived. Saskatoon winters are beautiful, but they are COLD! I’d been summer-dreaming since January, so we have been living it up ever since the temperatures started to rise, taking in as much of summer in Saskatoon as possible! What’s better than a hot summer day? A hot summer day with ice cream. During my first visit to Saskatoon (and to Canada) last summer, I was lucky enough to enjoy Canada Day, Saskatoon’s infamous Jazz Festival, AND ice cream from the amazing Bus Stop Refreshments, aka “the Red Bus”. Not only is this the cutest idea for an ice cream vendor (I mean seriously - selling summer treats from an antique double-decker bus located in front of the castle-like Delta Bessborough Hotel, does it get better?) but the ice cream is out of this world! I ordered their cookie dough ice cream and I couldn’t believe it! As someone who grew up on Dairy Queen’s cookie dough Blizzards, I’ve had more than my share of cookie dough ice cream. But I must say -- there is something extra delicious about the cookie dough ice cream from Bus Stop Refreshments! Now my husband and I live one block away from this glorious ice cream bus (uh oh!) and often pass it on our way to go for a run on the river trail. Can you say self-control? We are fortunate enough to be conveniently located very close to the bus, but I can definitely say from my experience (and I've had quite a few of them since summer began) that its well worth going out of your way on your next ice cream run! 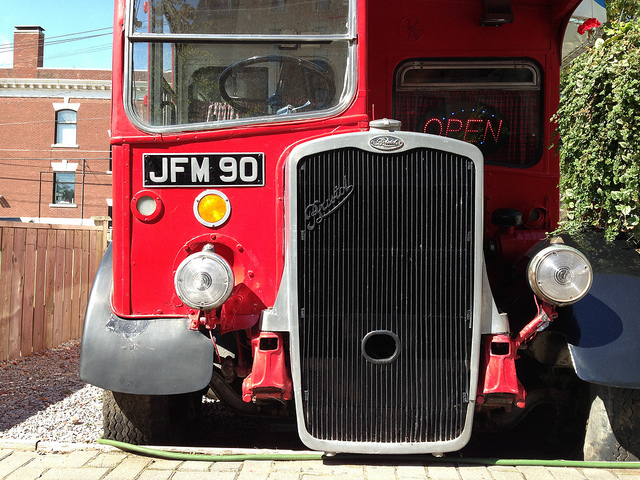 Visiting the Red Bus has definitely been a recurring theme in my first Saskatoon summer, and I plan to keep it that way for as long as the weather permits! Saskatoon really comes alive in summer, and I am loving it! I'm looking forward to sharing a few of my experiences with you as I explore this city I now call home! It's about time a place like Little Bird Patisserie & Cafe opened its doors in the Paris of the Prairies. Go for the macarons; stay for the sandwiches, the soups, the butter tart terrine, the kouign amann. And a few more macarons to go. Seriously. The My Saskatoon Street Team recently paid a visit to this sweet spot just off 20th street in Riversdale, and expectations were most certainly exceeded. It is evident that great care is taken with everything at Little Bird, from the tea to the tourtière. The high ceilings and natural light spilling in through big windows lend a bright, fresh feel to the atmosphere. Elegant details throughout the space give an understated Parisian vibe, as a collection of delicate frames house the chalkboard menu, and an array of antique brass pots and trays line the service area. Vintage-esq wrought iron and wood furniture arranged in intimate vignettes strike a beautiful balance with the gleaming white walls. Fresh cut flowers in glass vases adorn the tables. The space is truly unique, the perfect place to relax and enjoy a cup of organic tea and a dainty French pastry. Or two. The macarons at Little Bird are seriously addictive. Apart from their obvious Instagram-worthy cuteness, the perfect sweetness found in these buttery, melt-in-your-mouth morsels are more than enough to warrant frequent visits to the café. While the pastries are expectedly phenomenal, the fresh, from-scratch lunch menu makes Little Bird the sort of place one could visit guilt-free multiple times each week. Our Street Team enjoyed marinated artichokes, roasted tomatoes, balsamic onions, and creamy goat cheese on fresh baguette. Creamy, flavourful bacon corn chowder rounded out the meal, with a blueberry-thyme macaron to finish. The sun-dried tomato, feta, and olive quiche was the best combination of savoury, creamy, and flaky. Our foodies loved the perfect balance of flavours found in each item they tried. Little Bird goes above and beyond with its beverage menu as well. Beat the summer heat with a refreshing Strawberry Ginger Mint Iced Tea, a Citron Pressé, or a delectable Iced Chai Tea Latté. Catch up with a friend over a craft coffee from Fernwood Coffee Company out of Victoria. 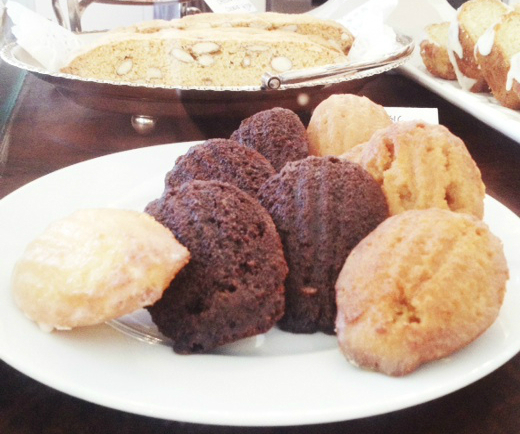 Or, pair your pastry with a selection from the extensive tea menu from Bellocq Tea Atelier. Just a two minute walk from Midtown Plaza, Little Bird is the perfect lunch spot to hit if you're shopping, staying, or working in downtown Saskatoon. Or, stop in on a weekend afternoon after a browse through the lovely adjoining Anthology Home Collection. Don't forget to take a box of macarons with you to enjoy later! The best things about summer in Saskatchewan- the fun, the relaxation, the laid back vibes, and the warmth that we crave all winter long can be found year-round at Prairie Sun Brewery. But right now, in the heart of summer, the place is in its prime. 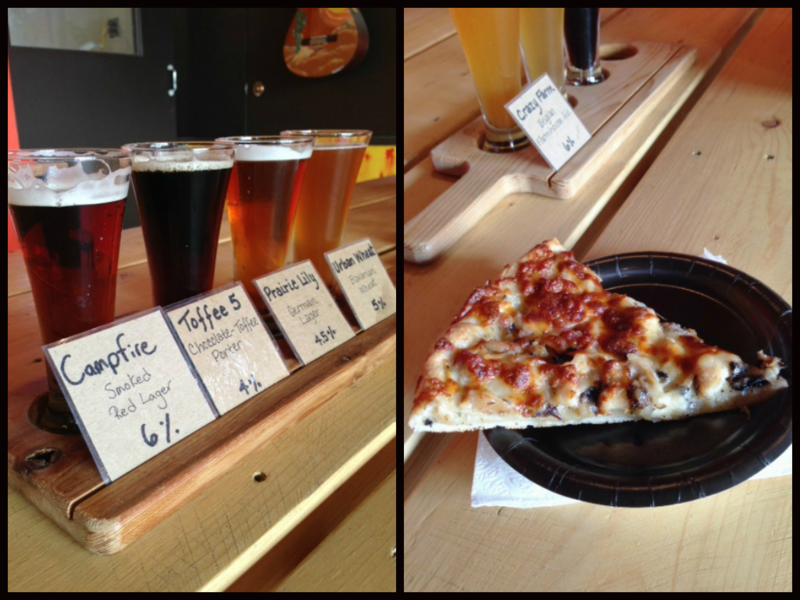 We stopped by to do some beer sampling, and discovered so much more than expected! The experience you get at Prairie Sun Brewery is vibrant. Outside on the patio, the late afternoon sun shining through a wall of sunflowers casts a glow on a group enjoying an after-work pint. Indoors, bright murals adorn the walls, and picnic tables lend a casual, comfortable vibe to the space. The people are friendly and down to earth, and you can sense the local love. A feeling of community resonates throughout the space. But what about the beer? 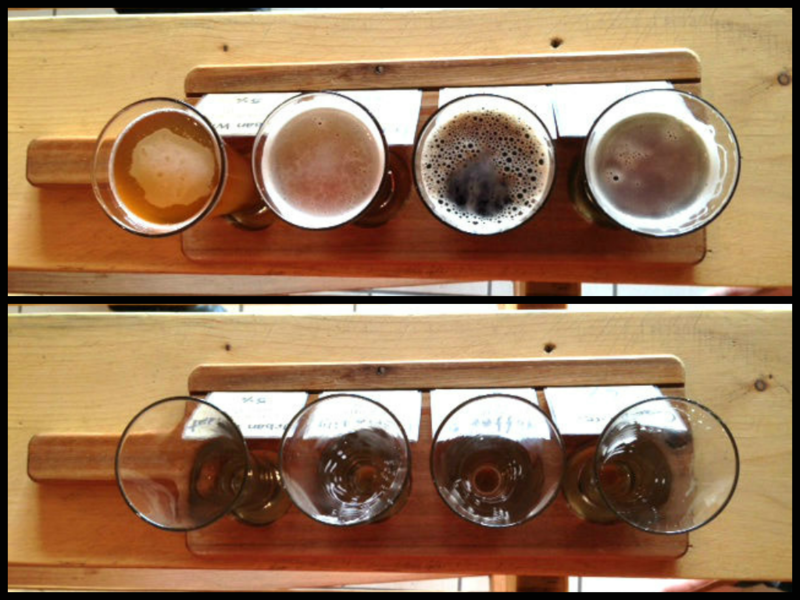 We tasted 7 different beers, and while we are not connoisseurs by any means, these are our best attempts at describing each of the great varieties of local beer available at Prairie Sun Brewery! This smoked red lager tastes like a campfire. In a good way. Chocolate toffee porter, sweet and creamy, its almost like dessert. It would be fantastic mixed with ice cream in a milkshake! A German lager, smooth with a lingering finish. This one tastes like a classic- hoppy and complex! The fan favourite, it is a crisp, flavourful Belgian Ale. The lightest of Prairie Sun's offerings, this one has a mellow, balanced flavour. Dark and sour, it almost tastes like a cross between beer and wine. This assessment might not be too far off, as it is aged in a barrel!? If you're looking for a local spot to hit after work with friends or colleagues, or you want to mix up your lunch hour routine, Prairie Sun is ready for you. They've always got pizza by the slice, and additional food offerings change daily as they partner with local food vendors to bring you hot eats to enjoy with your beer! Its also the only North-End stop for Saskatoon's awesome food trucks, so connect with Prairie Sun Brewery on social media to stay updated on what's for lunch! 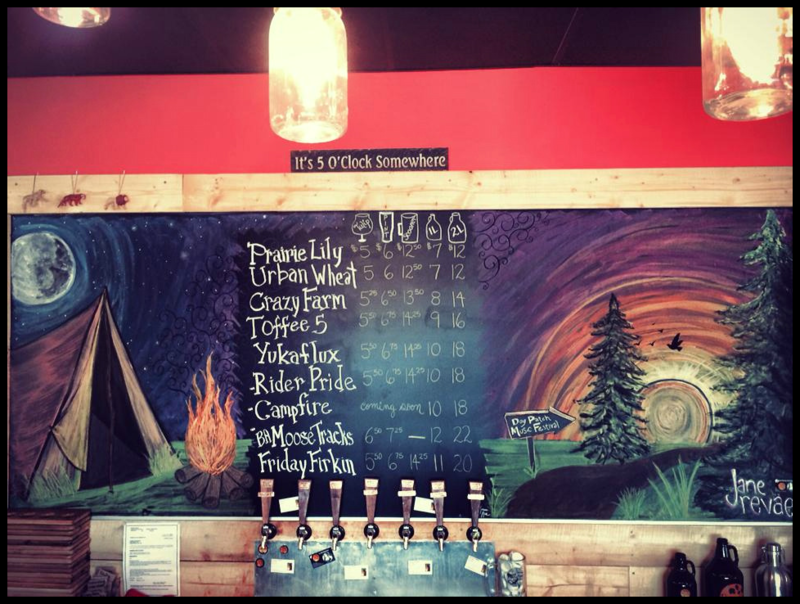 Check out Prairie Sun Brewery's Spotlight Profile for hours of operation and other fun information! We sent our street team out to experience Pink Cadillacs Malt Shop & Lounge, and the reviews we received were off the charts! Everything from “What a unique place!” to “The service was excellent!” and “The food was amazing!” not to mention all the comments about the decor and vibe the place gives off! Stepping into Pink Cadillacs is like stepping into a time warp back to the fifties. The fashion worn by the staff, the rock and roll music played over the speakers, and the decor all contribute to that decade's nostalgia. The menu is also a throw back to the classic hotrods, actors, performers and hits of that era. “The Caddy Burger” features melted cheddar cheese, onion rings, cherry bacon, finished with a house made Caddy Sauce. The “Aloha Elvis” combines shaved ham, chipotle glaze, pineapple salsa and mozzarella cheese. Try the "Good Golly Miss Molly” which is a delicious combination of BBQ sauce, sautéed mushrooms, and caramelized onions topped with swiss cheese. 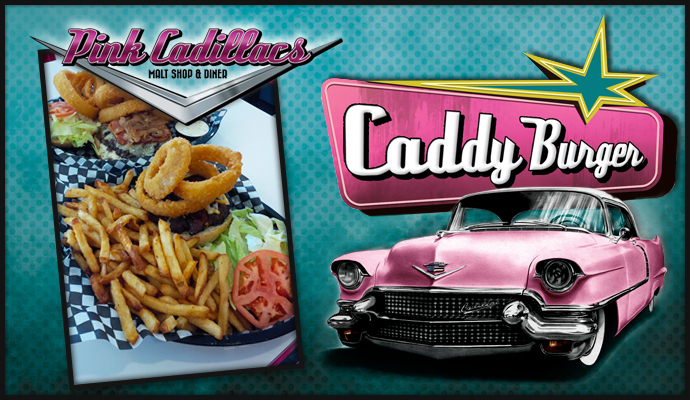 These burgers and so much more can be experienced at Pink Cadillacs, and they will definitely make your senses feel All Shook Up! 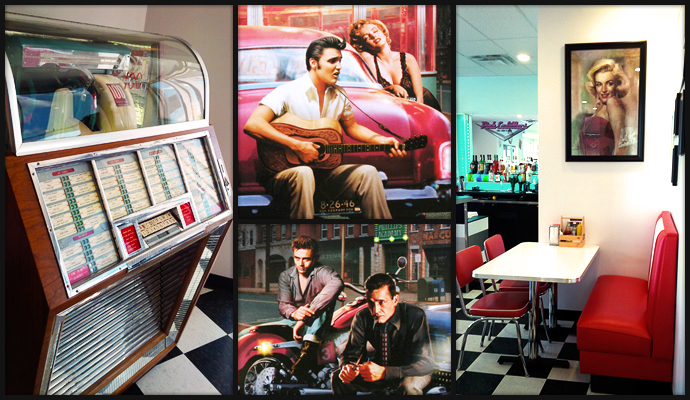 Pink Cadillacs Malt Shop & Lounge is a must visit for both young and old. Once inside the doors, you’ll be taken back to a different time and place. Soon you’ll be grooving to the oldies and swapping stories about the good ol’ days. Visit Pink Cadillacs' Spotlight Profile! Canning jars are one of my must-have kitchen items. They are so handy, particularly if you want to avoid using plastic containers or bags. I also just love the way they look, especially when filled with layered, colourful, fresh veggies! 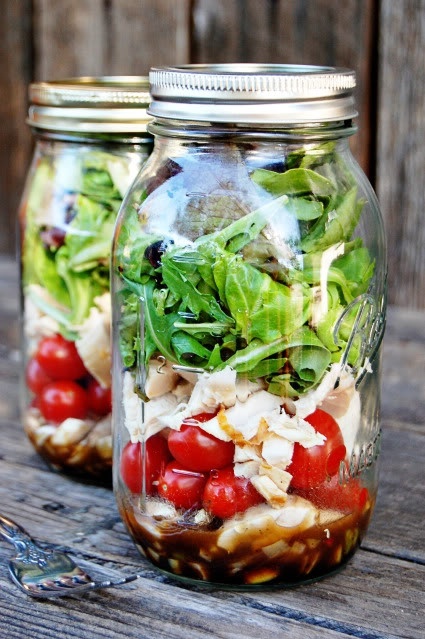 Whats great about using canning jars for salad is that they enable you to prepare one big batch for the whole work week. You can prepare the salad in advance, divvy it up among a few jars, and when sealed tightly, it will keep for up to 5 days in the fridge. So, when I chop all my veggies and do all the prep work on Sunday night, I have grab-and-go salads until Friday. 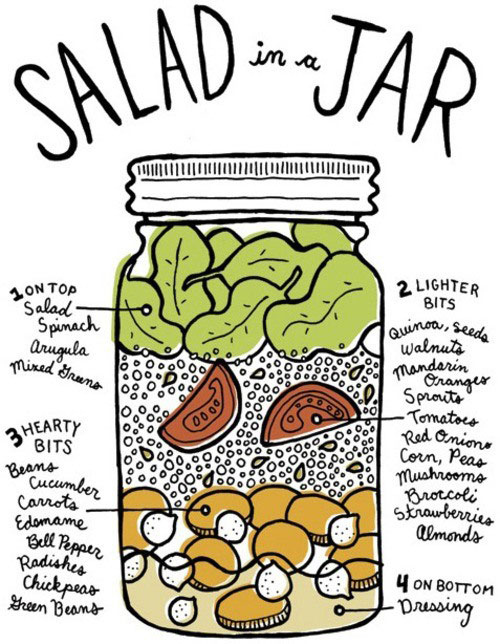 The secret to the perfect salad in a jar is layering. Start with dressing on the bottom, and work your way up from the heaviest and least absorbent ingredients to the leafy greens at the top. This way, as long as the jar stays upright, your greens won't touch the dressing and get soggy. Note: if you're including soft foods like avocado or hardboiled egg, or meats like chicken or salmon, don't add it to the jar until the day you are going to be eating the salad. When you're ready to eat your salad, just pour it all out into a bowl, give it a toss, and enjoy! This lovely diagram should hit the point home, and provide some inspiration!